Following in the line of the BMW M5, Audi RS6 and Mercedes-Benz E63 AMG performance sedans, the XFR is the first and only R application to the basic XF sedan introduced in 2008. 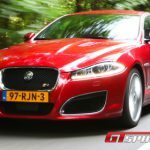 Now in its third life as a facelifted 2012 model series, the XFR is expecting a more powerful sister to arrive pretty soon, the XFR-S. It left us just enough time to have a closer look at the automaker’s current luxury and performance sedan. 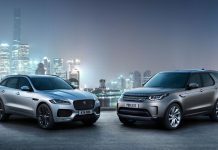 Jaguar’s ‘R’ cars effectively play on the company’s motorsport heritage, giving the Indian-owned British brand an answer to performance divisions of its German luxury competitors – RS for Audi, M division for BMW and AMG for Mercedes-Benz. 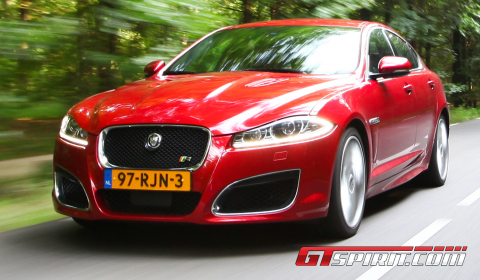 With the XFR, XKR and XKR-S in their portfolio, the British have what it takes to show their racing heritage. 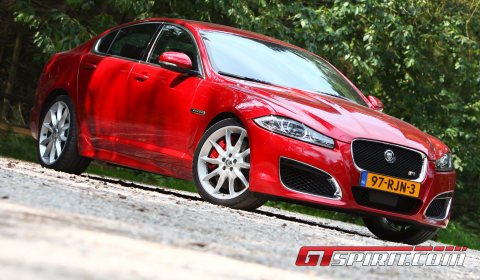 The newly facelifted model series of XF features mainly design and interior upgrades. Like the rest of the XF range, there are new, slimmer, XJ-style headlamps along with a reshaped bonnet and bumper. The tail lamps are LED for stop, tail and direction indicator functions. The revised boot lid finisher has a glossy black lower edge for a cleaner appearance and the boot features power closure on all models. 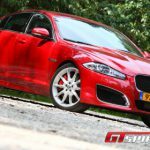 For XFR model there were no specific technical upgrades available in the facelift program. Like its chassis, steering and rear-wheel-setup, the power train stayed the same. 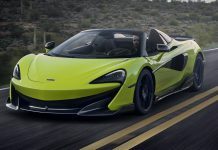 It still has the familiar AJ-V8 Gen III direct injection engine with 5.0 liters of supercharged power and a performance of 510hp between 6,000 and 6,500rpm, and a maximum torque of 625Nm between 2,500 and 5,500rpm. 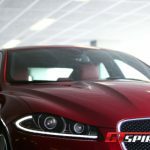 The engine is linked to a quiet and silky smooth six-speed automatic gearbox, which is controlled using the steering wheel mounted paddle shifter and Jaguar’s signature rotating gear selector. It offers the driver the option to go from the D-for-drive detent to the S-for-sport setting in any easy fashion, remapping the engine’s computer to quicken the shift points and other engine parameters. A Dynamic mode is available offering sharper throttle response and moves the shift points higher up the rev range. It also stiffens up the damper rates for flatter cornering and greater stability at speed. The handling and steering of the XFR feel balanced and composed, while being influenced by the heavy engine in the front and the Active Differential Control, which helps you to put the rubber to the road, in an ongoing, as needed basis. The steering feels slightly light to start with, but through corners and bends the rack becomes firmer and excels in agility and pin-point precision. Whether experienced from the driver or passenger seat, the cabin of the XF is a welcoming and stylish place in which to spend time, using high-end materials in a contemporary manner. The interior as a whole isn’t much different from the standard XF 2.2d we drove before, aside from the color scheme and some slightly more bolstered seats. The only major remark we have to make with respect to the technology inside the XFR is noticeable through the seven-inch color touch-screen and the multimedia interface, which includes a 30GB hard drive, iPod and Bluetooth connectivity, and a 1200W hi-fi system from Bowers and Wilkins with 17 speakers. The navigation system is surely the worst we have ever used! Jaguar please do something about it! 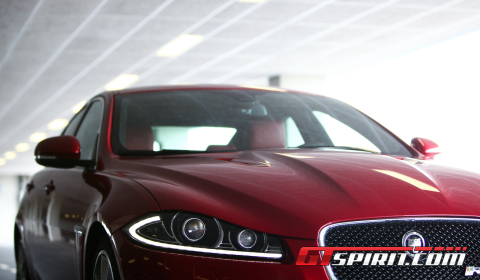 This Jaguar XFR is easily capable of becoming a gentlemen’s daily driver with loads of refinement, space and versatility. It is a wonderful combination between comfortable touring and the madness of hooning sideways in an excellent fashion. Add this to the Jag’s relentless pace, it is wonderful looks and you have fierce competition for the different RS, M Power and AMG models available these days. Well done Jaguar!